We all know the holiday season is important for retailers. By mid-November, most ecommerce businesses are already implementing their holiday marketing plans. And while it is essential to drive customers to your website, it’s also imperative that your site is ready to handle all of that traffic—holiday or not. Below are a few ways you can make sure your website is prepared for your ecommerce visitors! More than 40% of all online sales in November and December of 2017 happened on mobile phones (Criteo, 2018). This year, it’s expected that more than half of all online holiday purchases will be made on mobile devices. If your mobile site isn’t easy-to-use or even functional, you could be missing out on half of your online sales. There are more and more ecommerce sites popping up every year, and online shopping continues to increase in popularity. 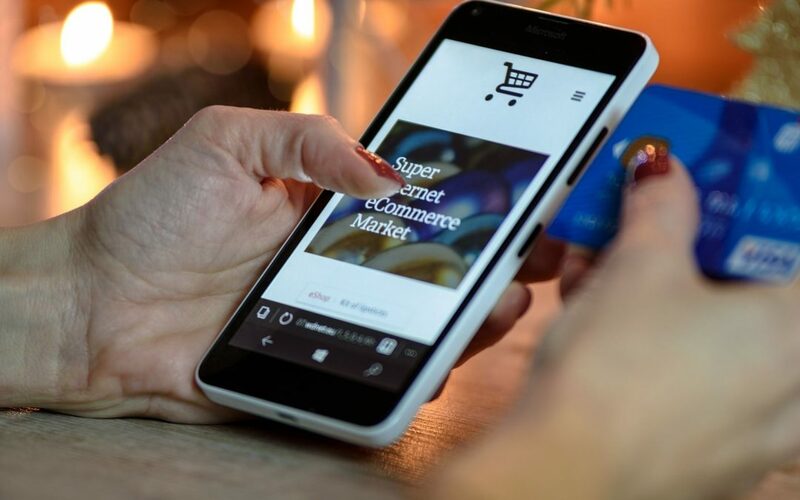 The rise in online shoppers is great for ecommerce sites, but with so many places to shop online, people likely won’t stick around on a slow, clunky site when there are literally hundreds of other shopping options accessible with a tap of the fingertips. According to Google/SOASTA Research in 2017, as page load time increases from one to three seconds, the probability of bounce increases by 32%. As page load time goes from one to five seconds, the chance of bounce goes up to 90%. Just a few seconds can dramatically impact how long users stay on your site, so be sure to make page speed a priority. A simple way to improve page speed is to optimize your site’s images. Resizing and compressing images with a service like https://compressor.io/ can do wonders for page load time. Another speed-improving option is to use a CDN (Content Delivery Network) which is especially good if your site has an international audience. Search Engine Optimization is imperative during the holidays. Consumers are constantly typing in search queries for gifts, decorations, meal ideas, and more! Optimizing your holiday products can maximize your site’s presence this time of year. With SEO, it’s important to start early so your results can be included in holiday traffic. Looking at Google Trends data, the optimum way to be included in over 90% of search traffic is to post content to websites 45 days in advance, so make sure you’re preparing your site beforehand. Other ways to improve your holiday rankings include using popular seasonal keywords, avoiding duplicate title and description tags as well as duplicate META descriptions, writing unique content for every category and product page, and making sure your holiday content is properly internally and externally linked. Remember, getting users to your site is only half the battle. Shoppers need to convert if your business is to have any seasonal success. Incorporating these ecommerce tips will help make sure your site is prepared for your influx of holiday visitors! Happy selling!